Kovea Backpacking Canister Stoves Solo 3 Stove Kit SOLO3. Consist of high purity aluminum and top quality and ultra light and safe cook set ultra hard coat on the surface strong and endurable material for the professional climber. 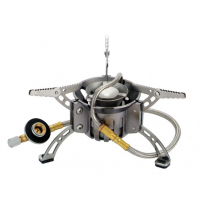 Kovea Backpacking Canister Stoves Solo Gas Stove KB0409. 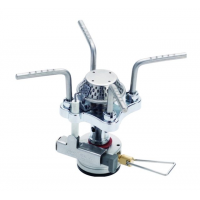 Kovea Backpacking Canister Stoves Backpackers Stove TKB92091. Lightweight and efficient this stove still performs as well as comparable models. 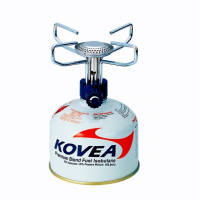 Kovea Backpacking Canister Stoves Booster+1 Stove KB0603.